Looks like you more or less passed my front door! That section north of Glenmorangie is one of the best, along with the run east to west over the top. He was lucky and so were we. Local farmer towed him out, no damage. Done and dusted within 45 min. I'd be happy with that!! On the leg to Inverness I came across the aftermath of an off and it looked nasty. The police were loading it on a wagon when I came screaming round the bend. Say what you like but 6 pots and ABS are modern marvels. Pics were brilliant Paul , what camera were you using ? I'm loath to be disparaging to any of the businesses on the NC500 route as I grew up with my own family struggling from day to day with their Cafe and flowers business on the west coast of Scotland. I've lived through how hard it can be. The NC500 clearly has given a shot of life into areas that would rarely have seen any trade. So I personally thought it great seeing all those who've jumped on the bandwagon. And boy were they making a go of it. Great to see. Though like my they never expected so many to take it on in a camper van. I've never seen so many. And watching one try and overtake the other on a single track road is hysterical. But I'll make and exception in calling out a business on the NC500 and that's the Gairloch Hotel. It has just been taken over and the staff were clearly poorly led and under resourced. And many shouldn't have been in hospitality too, which a less lazy management team would have fixed. No disrespect to accountants but it has the feel that was who was making decisions not someone with an ounce of understanding of hospitality. It was, after the high level of care and attention at the Bettyhill and previously the Craigmonie in Inverness, a huge let down. The room was advertised as having a sea view. Yes, from the side facing window it was possible to glimpse the sea. I could have forgiven that. Just. But the room was only reasonably clean, with ancient furniture and my hardy farmer's daughter wife had she been with me wouldn't have set foot in the shower. Wi fi was only in one small part of the hotel reception area. And there were so many befuddled and angry Spanish and American tourists huddled in one small space trying to contact family it was overloaded very quickly. The place was shocking. The staff gave me the 'heads up' that the Old Inn was the place to be so I walked there through the pouring rain. I was glad I did. Great little bar and they also have rooms, FYI. Rant over, but I wouldn't want anyone to waste their money until the Gairloch Hotel sorts their act out. Poor show. Anyway. On this leg I deviated again slightly from the 'official' NC500 map (on the previous leg I'd taken the B869 Lochinver road as it was longer and more twisty though single track). I'd never intended to close the loop by returning to Inverness and my next port of call was Skye. So to make sure I covered enough to justify, literally, wearing the NC500 t-shirt, meant at some point I'd have to double back on myself. Then head to Kyle of Lochalsh. I chose the stretch from Garcia Kinlochewe for this, and I'm glad I did. So let me explain. I set off from Gairloch and followed the A832 to Kinlochewe. This was a lovely drive as the weather while over cast had stopped raining. Arriving in Kinlochewe I turned right just before the petrol station (where later in the day I was chomped on mercilessly by the Great Scottish Midge ) onto the A896 towards Torridon. This is a lovely, undulating landscape where you can often see ahead for miles so pace can be brisk even on single track road. Though it also had its fair share of hidden dips and blind bends. But taking my cue from the locals flying along in their Peugeots and Skodas I took the road at a lick. The difference between the rentals and the locals are easy to spot btw. The locals are rarely on 16 / 17 plates and if they are it'll be a pick up or some obscure make. And teuchters in Scotland only have two possible speeds. 40 mph, the way my faither (deliberate spelling) drove or 80 mph, the way my mother drove. Clearly I took after my mother. A quick toilet stop in Lochcarron and a new OS map and I was on my way. I then set off for Garvie so I could feel I'd at least mostly closed the NC500 loop. The A890 out of Strathcarron quickly opens into the most wonderful massive glen, with long straights and wide open roads. Mostly empty. There are so many great roads on the NC500 but the A832 to Kinlochewe coming from the A835 from Garve was amazing. Especially the iconic downhill run past Achnasheen heading west. I got back to Kinlochewe and topped the car with fuel and octane booster. And as mentioned above was munched by midges who made short work of my white Scottish flesh. Then completing my loop I turned left this time, back onto the A896 and sped towards the turn for Applecross. The scenic road to Applecross that you join just after Sheildaig if heading south, is wonderfully challenging and beautiful. I'd also booked a tour at Talisker for late in the day so needed to press on. Which I did. The rain was coming in but I pressed on and though taxing making good progress in this way, while absorbing the beautiful scenery, was superb. Arriving into Applecross I checked my OS map and set off, again at pace for the route back to Lochcarron. Conscious of the ticking clock. Realising I wasn't going to make the distillery appointment on time, I settled into the motorised queue that is the road past Strathcarron, the A890, to the Kyle of Lochalsh. Where heavy rain and severs lorries up front meant pace was steady but slow. I entered Skye as part of the horrid motorised procession of tourists on the A87 and ploughed through torrential rain to reach first Talisker, via the A863 at Sligachan, to rebook my tour for first thing the next day. Then back along the A863 to join the A87 again to where I'd booked a caravan (all I could find) to stay in Uig. Once the traffic cleared on the A87 after Portree spirited driving could be resumed. I managed to enjoy myself almost as much on that last stretch, even in the rain, as I had during a marvellous driving day. Having spent some of my formative years in Ayrshire I'm ashamed to say I've never been further north to the Highlands. The scenery looks so dramatic and your pics are illustrating this perfectly. On your way down the west coast, through villages and towns, did you go past Lendalfoot towards Ballantrae? Many a Bonfire Night was spent on the coast at Lendalfoot in my youth where they had the most awful fireworks but rockets which would eject little figures with parachutes when the exploded. I'll never forget catching one as it floated back to earth from the cold, damp sky. What a great thread! Thoroughly enjoyed browsing through that. Particularly impressed with the Glenmorangie tour, looks amazing. I'm going! I worked out of Aberdeen for 11 years and my wife's from Kirkintilloch so I can relate to a lot of the places. Must get it organized for next summer. Id love to take the 911 but practicality tells me Macan.... My wife carries more shoite than Beyoncé on a road trip. I'll use the car far less now so it was a chance to get the most out of it while I could. I'm away at the moment and only just seen this. Superb thread and great piccies. The 500 is now on my list to drive. It is, beyond doubt, a stunning part of Scotland. But having arrived via the borders, Fife, Crieff, Perth, the east coast from Dundee to John O'Groats plus the wonders of the west coast I was saddened that Skye while beautiful felt a little commercial compared to where I'd been and what I'd seen. Still the people were still wonderful and those views were exquisite. Having missed my Talisker tour through lots of hooning the day before I set off early for the 9:30 tour. The weather was still a bit wet but the roads were lovely and empty. I attempted to get into some nice single track roads where I encountered my second well driven Freelander of the trip. Cutting off the A87 south from Uig right onto the A850 I tried to reach Talisker cross country. I made it to Talisker with a half hour to spare so got breakfast in the Bohemian but brilliant The Old Inn. They had a musician playing at breakfast who was making out with one of the barmaids as I waited to get served. Run by a local lad and full of surfer dudes mixed with hill walker types or baffled looking southerners I knew immediately I'd stayed on the wrong part of the island. Oh well. File it for later. A quick glance at the Highlands latest hi tec mobile banking app, and after the tour, with my tasting samples safely stowed, I was on my way. The way south was horrid in having lots of rain and traffic. However it was brightened by a well driven 997 cabriolet S which joined the traffic ahead of me and provided a masterclass in overtaking and driving in the wet. Barely keeping up with the driver (but I did ) they displayed none of my sense of well being on the road! Whoever you are, salut You made a fairly mundane leg enjoyable. They also helped me start to tune in a little more to what the 997.1 turbo in standard form but with DSC can do. More on that later. The well driven S took the Inverness A82 north past Invergarry and I headed south. Stuck behind caravans and slow moving traffic I overtook as many as I could but pretty soon I was in the snarl of traffic crawling its way into Fort William. This was the worst part of the whole trip, stuck in bumper to bumper traffic moving at 2 mph for over 30 mins. Yuk. Once clear of Fort William the rain began to subside and it became low hanging cloud. A spirited down the A82 to Ballachulish and I was back on track for my visit to Oban distillery. A quick stop at Glencoe for the obligatory Skyfall homage pictures.....and a bowl of soup, then I was on my way again, heading south on the A828 to Oban. The road from Glencoe to Oban was clear and I made good time getting to the distillery. I've a huge soft spot for Oban, visiting here often as a young adult. But more fundamental than that it signalled being back in Argyllshire. Where I'm from. I was getting close to home. But not yet. I'd selected the Exclusive Tour which ended with a connoisseur tasting in the manager's office. A cracking distillery, I took my samples and left after a lovely time based on a great guide from Madrid and wonderful bunch of other people on the tour. The sun was in the sky as I fired up Grace and I set off eager to take advantage of the good weather. Heading north first to fill up with super unleaded, I took the A85 to Connel, even though I was ultimately heading south. Cutting right at Connells onto the A828 I then took the first major right onto the B road (sorry don't know what it's called ) that heads towards Ardnacorrish. This B road was amazing. After all the traffic and weather of the last few days, hooning along this quiet and beautiful road reminded me why I did this trip in the first place. And why I loved Argyll. As the the tinkling of metal followed Grace' cooling down in the hotel car park I settled into my room. But this time Skye made me smile. I was happy with Skye and happy with the room too. I'd had a good day. Settling out in the garden area I enjoyed my delayed tasting. Content in what joys a day behind the wheel can bring. In the right part of the world. Slainthe mhath. We're off to Kinlochewe tomorrow, so will look out for the middies! What a great thread, looking forward to the next few days. I'll consider this post as my subscription for updates... and in time I may well follow in your footsteps. Is your car Atlas? At times it's blue, black, grey... lovely colour! Hey Dude, thanks and appreciate the kind words. I've tried to get across a fraction of how much I loved doing this, which is an ask as it was sooooooo good. Monumental in fact. Colour it is indeed Atlas Grey. I love the colour for the very reasons you've stated. At night it looks black, on a sunny day it's grey and in certain lights the blues come out. As for the trip I can only encourage others to do it. Damn fine roads. Once again on such a fantastic trip. Massive for the superb write up and pictures. I know how much time and effort it took to produce it. Those roads and that scenery are calling out for me to experience them personally and I will, one day. For now this thread will serve as a bookmark illustrating my 'bucket list'. Having arrived at Ardfern i was back to the latitude of Stirling and I was almost out of the Highlands. My long days of driving in these incredible roads was done. I'd covered well over the designated 500 miles of the NC500 route and more on top. I'd driven in rain and sunshine. Been on single track, swooping twin track, winding mountain passes, twisting woodland, coastland, inland, vast moorland and through picturesque towns or villages. I'd been alone with no one for tens of miles and wedged in traffic outside Fort William. 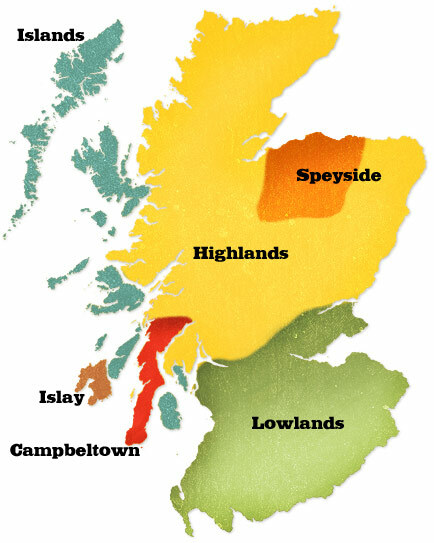 I'd taken in the Lowland, Speyside, Highland and Island whiskey regions, visiting Glenkinchie, Glenturret, Glenlivet, Glenmorangie, Old Pultenay, Talisker and Oban distilleries. The tours were amazing with some in great depth, though sadly Islay would need to wait for another time. It was almost time to head home. The idea behind this trip, which I first organised two years ago but couldn't then make , was Raw Spirit, a book by the Porsche loving author Iain Banks. I wanted to do as many whiskey regions as possible. So that meant one more leg to my journey before it was over. Turning right, I headed for Campbeltown, Scotlands former whiskey capital. Once the home to over 30 distilleries, today it has only 3. But that's enough to qualify it as a region, so off there I went. As I passed Bellochantuy the rain had stopped too and by the time I arrived in Campbeltown the sun was shining. Those interested in malts, feel free to read on. Frank McHardy has spent his entire life in the malt whiskey industry, beginning as a 15 year old in the 1950s. He was the Master Distiller at Springbank in the 70's and 80's, then 'retired' by moving to Bushmills in the 1990's. Spells on Speyside followed before he returned to Campbeltown and Springbank. Myself and some Germans set off on the best and most detailed whiskey tour I'd ever been on. First stop was Glen Scotia, a neighbouring distillery. This is owned by another distillery chain, and almost closed in the late 1990's. In a rare show of camaraderie, the Springbank team from the nearby and larger distillery, helped the new owners get the distillery back into working order. While the new owners updated the equipment, Springbank provided Frank, labour and know how. Glen Scotia is a lovely malt, laced with peatyness, but smooth like a Lowland whiskey. With the distinctive 'saltiness' from being aged on a sea loch. The goodwill continues and that was why Frank was allowed to take us on a tour of Glen Scotia. Next we headed to Glengyle, the newest distillery in Campbeltown. Opened in the early 2000's it was named after one of the many closed distilleries that once dominated Campbeltown. The signs of whiskey making are everywhere when you know what to look for. Such as the tell tale vents of what was once a maturation warehouse, in what are now flats. Mothballed maturation warehouses once used by Islay distillers, but now awaiting repurposing or reuse for aging. Or evidence that the planning department are ensuring the whiskey heritage is echoed by making the local Tesco use tell tale malting chimneys as features in the local supermarket. We arrived at Glengyle and heard how it was opened by the owners of Springbank in order to ensure Campbeltown would be a retained as a whiskey region, as a region had to have a minimum of three distilleries. Built from a range of new and second hand parts, the whiskey was designed using modern process manufacturing principles for heightened efficiency and quality. This is the only malt whiskey distillery pairing in Scotland which malts, ages and bottles on site. An incredible thing. It's also the home of three stills. Allowing double, two and a half and triple distillations, to produce three different whiskey types from one distillery. The tour, as extensive, detailed and in depth as any I could have wished for, gathered first in the warehouse. Where Frank proceeded to pick barrels for us to try. Including one from the year I left to head to university. After that we returned to the shop owned by the distillery in the town and had a few more malts in the adjoining 'Tasting Room'. Enjoying it so much I returned later on for the afternoon tasting session as well. Being a Friday the distillery manager joined us too and we enjoyed an epic exploration of fifty years worth of malts. Springbank also own a bottling company called Cadenhead, who buy a wide range of casks from distilleries all over the world. All sold under the Cadenhead brand they represent a wonderful, and highly collectible, source of rare malts. By the time I left, blinking into the sunshine, I was a happy happy man. This had been a good day. One of my best. Springbank is an outstanding distillery, run on grounds of quality not solely profit. The ownership is being passed to the workers with the provision of quality, progress and jobs being the drivers of the business. And it looks to be in good hands. Campbeltown may have its great scale whisky days in the past. But it has a bright future as a region and maker of some of the finest malts in the world. I strongly recommend trying the Longrow, Springbank and Hazelburn malts. As well as the Glengyle. The Springbank and Hazelburn in particular are prize winning and among the best I've ever tried. I'm biased of course, so try them for yourself. I stayed on in Campbeltown for the weekend, caught up with friends, family and had a blast. It was an epic weekend in so many ways. The following Monday, I waited as long as I could for the alcohol to leave my system, then gingerly headed black to Glasgow. Dinner that night with family ended with a long walk up Great Western Road to the AirBNB apartment I was staying in at Anniseland. Walking past places with strong memories, I reflected on the 13 days I'd spent exploring. Having then made some more important stop offs to visit graves of family and friends, I headed home the next day. And Grace? She's currently at Porsche Torque getting some fettling and essential maintenance ahead of the major service due in January. She was a gem the whole trip. Nimble, brutal, subtle or loud. I can't think of a car I'd have enjoyed more on my near 2000 mile trip. Will you have the major at the OPC? Is the visit to Sid just to make sure the OPC can't squeeze you for unneccessaries? Superb finish to a sublime thread.